Who is a divorcee? Is it advisable to marry a divorcee? You got attracted to a woman,because you saw a very beautiful quality and on finding out that she is a divorcee,you then asked: Should I marry a divorcee? My brother,when you are attracted to a woman,when you see her and your heart is well pleased with her,go to her and establish a relationship with her, Tell her your intentions and if she accepts,then marry her. For crying out loud,not all divorcees are problems candidates. Hear her own side,and you will see that she is truly a wife material for any responsible man to have. Let's take example of a divorcee to see if it is reasonable that you should marry a divorcee or not. A woman in South Africa got married to a very gentle man. after five years in their marriage,her husband lost his job,quickly got fed up in life,and took to smoking and drinking. This woman tried all she could to help her husband put himself together,and get up again but to no avail. Many times,she had asked her husband to join her in her food cooking business which she does close to their house,but the man would refuse. All he could do was to squander his wife's money on his bad habits,refusing to be useful anymore to his family. Many at times the woman complained of having seriously being beaten,if she comes home late from her shop. If your sister is this woman,what candid advice would you give her? Would you rather suggest that she continue living with her wicked and useless man as husband and wife? Some people would rather say no,and suggest she opt out of the marriage to save her dear life,and focus on building her life since her husband has intended to destroy her. The truth is that many people divorce their partners when they see that it is the only option left for them. 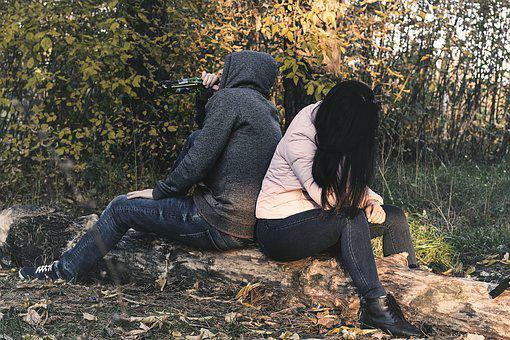 Instead of pretending and dying secretly in bad marriage,would it not be better to come out of that relationship if your partner refuses to repent and turn around? In summary,let us go back to your question: Should you marry a divorcee? Is anything wrong with the divorcee mentioned above? If your answer is 'no' as mine is,obviously you should marry a divorcee,if you are attracted to her. Your person could be the one that would make her a wife. In fact the divorcee mentioned above is a type of woman any reasonable man would like to marry. She is supportive,a home builder,and a hard working woman. The only problem in her formal home was her husband who turned a destroyer,a bully,and irresponsible man. Am sure you could not take that place as your home,or advice your own sister to do the same. So,why feeling indifference about a woman because she is a divorcee?